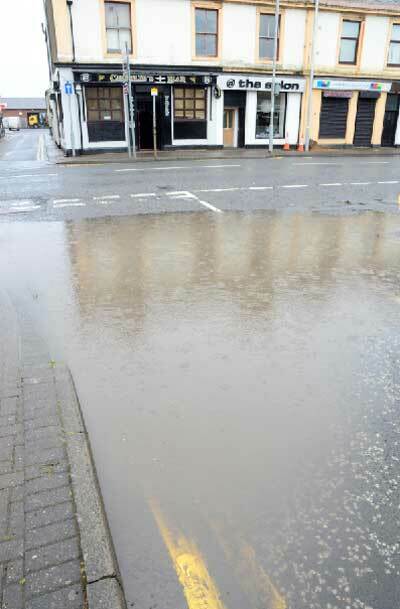 A retired construction worker fears that someone could be killed as pedestrians are forced to walk along a busy road in Ardrossan, North Ayrshire, Scotland, to avoid a puddle which is thought to be caused by recent development works. 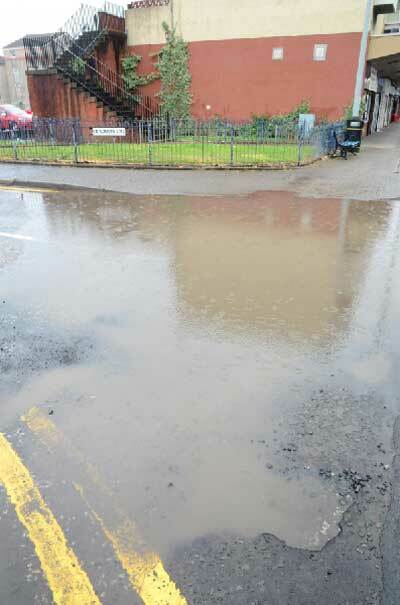 Alex Logan, who lives in Ardrossan, says that the large puddle at the junction of Montgomerie Street and Glasgow Street has been caused by recent construction works, which he believes have been carried out poorly. Alex claims that the puddle has been a main topic of conversation in his local pub Charlie’s Bar, which is situated directly across from the flooded junction. One Charlie’s Bar customer, known as James, said: “People can’t cross without stepping onto the road so if there are cars coming, then that’s a health and safety issue. It’s really dangerous. I’m concerned about people with wheelchairs, walking sticks and walkers.